Hit the Pass | The Crew 2 – Is it worth your time? 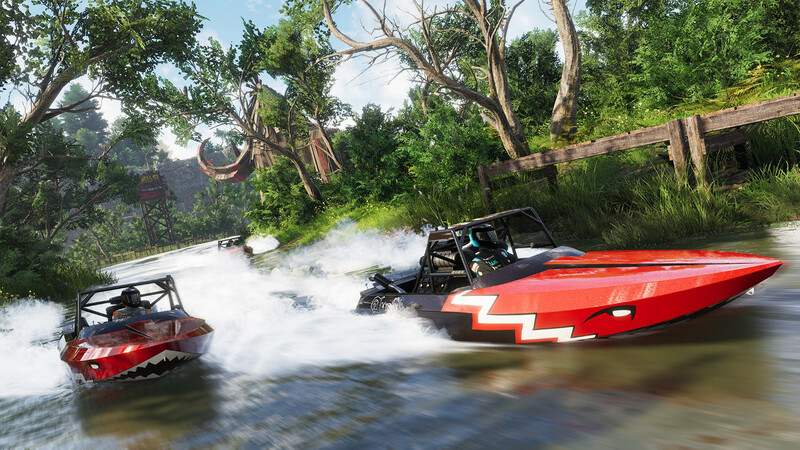 The Crew 2 is a perfectly adequate arcade racing game that does not near its potential and is missing some key features. Taken at face value, you can spend $60, have a great time playing alone for 15 hours, then move on like a normal person. If you’re an addict for MMO-lites/CarPGs (like I am), or competitive player vs player racing, the missed potential will be quite frustrating. On the road The Crew 2 is much improved over the first entry. The driving physics are less slippery and in general is more fun. The graphics pop better on console, where the first game felt flat and muted. The ridiculous story from the first game has been jettisoned completely, to mixed results, but ultimately a net gain. The sense of speed is fantastic and the controls are tight. Racing a Zonda across the United States in a 35+ minute marathon is as good as arcade racing has been this gen.
Once you dig in deeper to everything, though, that’s when the wheels start to come off. 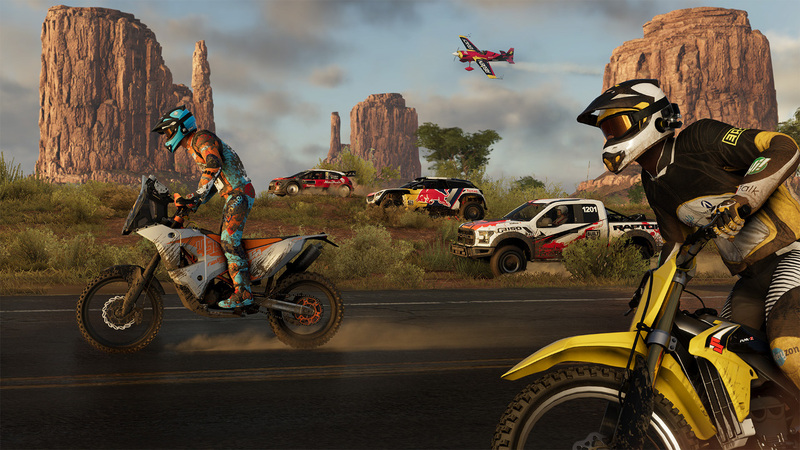 The map, once again, is a truncated version of the United States that is quite massive for an open world racer. The areas are properly varied. Racing in downtown Manhattan is a much different experience than speeding down a desert road through the Grand Canyon. The variety is unmatched in the genre, easily eclipsing the sublime Forza Horizon series in that regard. The main problem is that they let most of it go to waste. Each racing discipline has, at most, a dozen tracks. It adds up to a decent amount overall – but once you blast through them, you’re left looking at this enormous map wondering why they stopped. In the original The Crew you could make your own tracks. That option is gone for the sequel – one of a couple head-scratching omissions from a game that got quite good after several patches and expansions. 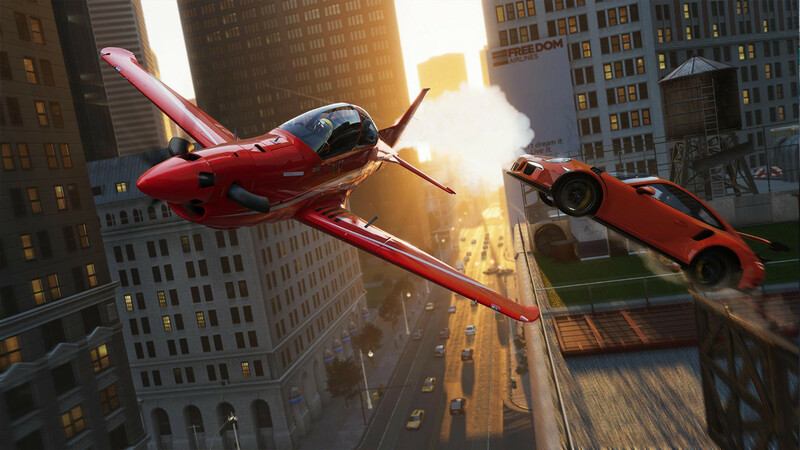 The biggest omission currently from The Crew 2, which would be true of any racing game made after 2002, comes with the lack of player vs player racing. You can “co-op” with friends but there is no matchmaking for the friend-less. The developers have released a road map of the first year of free (!) content (starting with “Gator Rush” in September) and PVP is slated to release in December. December! The game should have been delayed until that date. A racing game without player vs player is also known as an Early Access game. Full stop. It should be pointed out that there are a bunch of painful decisions made along the way though. Instead of gaining experience (aka XP) you gain “followers” on a make believe social network. It works functionally the same way but is an unnecessary and, dare I say, cringy layer to the game. Add to that some voice acting and dialogue clearly written by old men trying to seem cool and you’re left wishing they didn’t try so hard. If you are looking for a MMO-lite, or a CarPG (I hate that term but it is properly descriptive) the wheels start to come off at that point. Without player vs player races the desire to grind out all the best parts is greatly diminished. Why do I need to play over and over to get the best parts if I already beat all of the races without them? The game does feature other players out in the world when you free-drive, but spontaneous races don’t pop up ever as far as I’ve seen. They also changed the way the upgrade system works where all you need to do is level up one car and all of the parts that you get work with every car in that discipline. So once I max out one Street Racing car, I’ve essentially maxed out all of them. This is great for more casual fans but takes out a large portion of content for the guys that want to come back to this game day after day for years like they did with original The Crew. I am a huge fan of the Destiny series, and can’t help but feel like this game is Destiny 2 for racing game fans. The base of what is there is great but there are so many head-scratching omissions from the first game that it’s difficult to not get frustrated with what could have been. Where is PVP? How in the world are there only 12 street races and what did you do to the track editor? Where are the police chases? I would have taken all of these things before adding stunt planes and drag races. The focus was on the wrong things and we are left with the shell of what may someday hopefully be a great racing CarPG. It will not be that until, at the very least, PVP is released in December. Until then it’s a single player racer that is great fun for 15 hours and then offers no compelling reasons to come back to it again.